Tea bags are the tiny keepers of tea. The tea bag gently holds tea leaves as they “float” and unfurl in your tea cup. A tea bag is a tea infuser in its simplest form. By 2012 the tea bag will be around for one hundred and four years! Tea bags were created for the humblest of reasons and the man who created them actually and eventually changed the way tea was drunk. Back in the early turn of the 20th Century, tea was still a great commodity and was still almost certainly being purchased by the very well-to-do. Tea was brought to ports via cargo ships. Tea traders would send samples of their finest teas along to customers to continue to keep them as customers and buying tea. Tea samples were sent in tea tins or tea boxes. These tea samples were cumbersome to send and frankly it was not cost effective. Thomas Sullivan was a small coffee and tea trader in New York he had many customers. While he was frustrated, he began thinking of ways to cut down his costs and still yet give out samples in his coffee/tea shop when customers came in. He began folding different materials and experimenting with the items until he came up with some that were not only viable they was perfect. Mr. Sullivan folded and then sewed small silk bags by hand and then inserted his full leaf tea, and then sewed it shut. He sent these samples all over the world. When many of his customers received the sample, they simply dropped the bag into the warm water and the tea bag was born! It was an accident that turned out to be a very good thing for Thomas Sullivan at the time. Mr. Sullivan began to make tea bags with many other materials such as, cheese cloth, gauze, cellophane or even paper. In his sheer excitement Mr. Sullivan forgot to patent his creation, and many began to create other types of tea bags. Mr. Sullivan’s invention caused a furor and customers loved it. It was a very convenient way to enjoy tea. One did not have to strain the cup after using the tea. One could also control how long the tea was steeped. Modern tea bags of today contain, some believe, a lower quality grade of tea. Fresh or dried leaves are placed into a bag after being pulverized. Tea makers today would love to give less product, but now machines fill bags with an exact amount and quickly. Crushed and pulverized tea helps to aid in the infusing process. While tea bags have not changed much in these One hundred and four years since its inception. While there have been many different ideas in design, the concept is the same. Tea bags can be made of paper fiber (such as a coffee filters), silk, bioplastics (polylactide), muslins, and nylon; they can be in bleached paper, and unbleached paper. 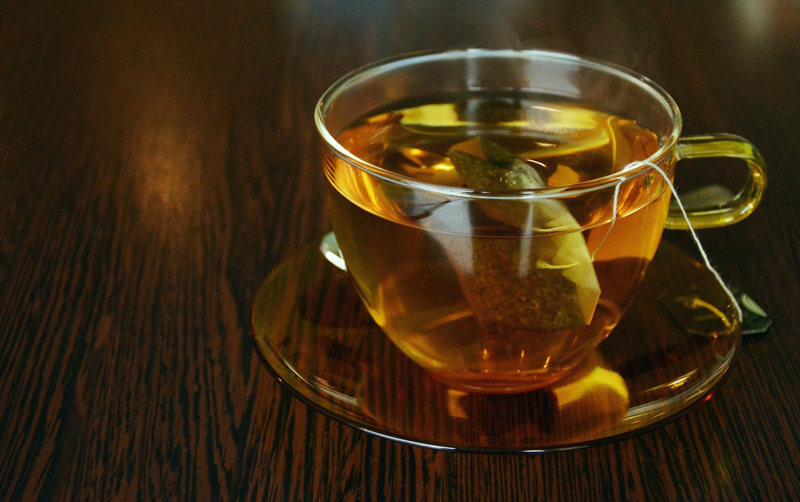 Tea bags can be square, rectangle, circular, or even pyramidal or flow-thru. Tea bags can have strings made of cotton, silk, or floss; some with collectable tags, and finally some tea bags simply have no strings attached at all or may be used with a “tea pin” (a bag skewered with large stick that hangs tea bag in the tea cup). Some other very notable tea bag inventors are: Thomas Lipton, who had created the four-sided tea bag in 1952, it became a very popular tea bag for his own tea business. Also, Peter Hewitt the founder & CEO of the company Tea Forte’ who was at a New York tea show and introduced his handmade pyramid tea infusers. To this day they are individually handcrafted with open weave fabric that allows water to freely flow around the whole-leaf tea & rough cut herbs that the company specializes in. So, tea bags changed the way the world drinks tea and to think that Thomas Sullivan accidentally stumbled on and created this change!